deep made of non-corrosive glass with polished edges and corners. 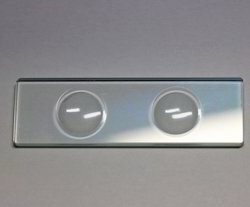 We hold expertise in designing an outstanding range of Microscope Cavity Slides, which is made of non-corrosive glass. It also comprises polished edges that are at par with the industry standards. Furthermore, we offer customization for this product range to cater to the rising demands of our global clients. Polished, cavities are of 16 to 18 mm dia.made of non- corrosive glass, polished edges, size 75x25x1.5 mm, pack of 10, in a box. 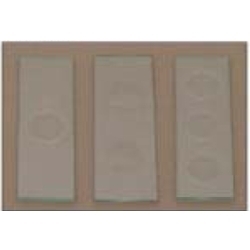 These Cavity Slides are ideal for observing liquids, tissue cultures and other larger samples in a laboratory.